We tapped some of the top pizza chefs in the country to share their secrets for successful summer pizza-making. In the hottest days of summer, the last thing you want to do is turn on the oven and overheat your kitchen. So when you're craving homemade pizza, your best bet is to fire up the grill. 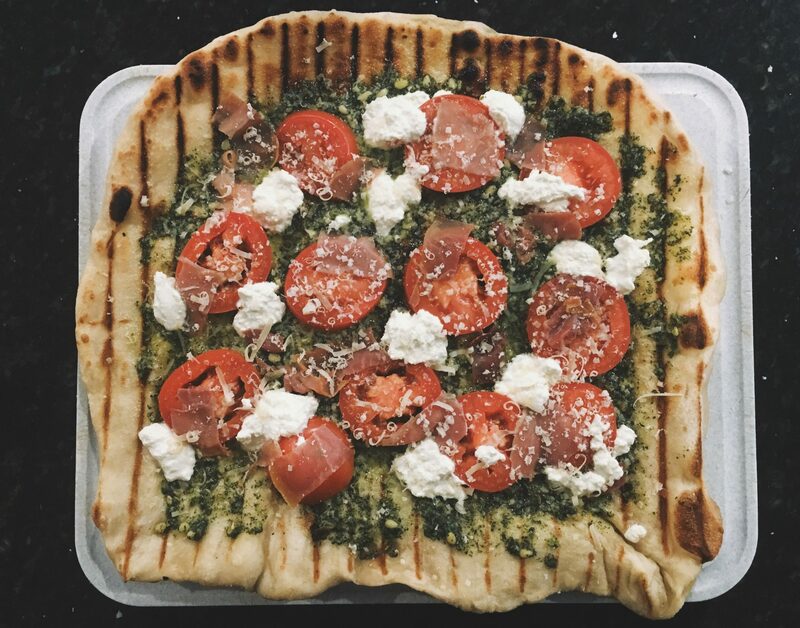 “Grills can reach way higher temperatures than your average oven, making it a great tool for homemade pizzas,” says Michael Pirolo, executive chef and managing partner at Macchialina in Miami, The Saint Austere in Brooklyn, and Pirolo’s Panino in Los Angeles. We chatted with some of the best pizzaioli in the country for tips on how to grill pizza in the summer, without making a mess or burning everything. Be patient when heating your grill. Be patient enough to heat your grill until it’s extremely hot, adds Madison Tessner, executive chef of Millers All Day in Charleston. This may take awhile, but it will allow the pizza to cook evenly. When the temperature is too low, the dough will stick to the grates, says Pirolo, so avoid that frustration and heat the grill for 20 minutes until it reaches 500 degrees. This creates a hot and cool section within the grill, says Michael Kramer, executive chef and partner at Jianna in Greenville, South Carolina. He uses the hotter spot to first cook and mark the dough, then moves it to the cooler part in order to avoid burning. Don’t cook your dough immediately after making it. Make your dough the day before, advises New York’s Nino Coniglio, executive chef at The Woodstock. First, let it rise and double in size. Then, place it in a closed container and refrigerate for at least 24 hours. Once you’re ready to get cooking, Pizzeria Bebu's Jeff Lutzow suggests bringing the dough to room temperature, which will make it easier to handle and roll, while also giving your crust more character, bubbles, and char. Flash-cook the dough first, with a little bit of olive oil. Moreira recommends brushing high-quality olive oil on the dough before adding any toppings. But use too much and it can cause flare-ups on the grill, leaving the pizza burnt. She also suggests flash-cooking the pizza dough for a minute on each side. She says it creates a firmer dough, making it easier to add toppings, while also minimizing sogginess. Don’t place your dough on a dirty or dry grill. Right before you place the dough on the grill, water it down, says Felix Tai, executive chef at the Polynesian Cultural Center. This provides the right amount of heat, and prevents the dough from cooking too fast. In order for this to work, the grill should be clean and free of any debris. “If using raw dough, roll it up onto a rolling pin, and unroll it onto the hot grill,” says Carolynn Spence, executive chef at Shaker + Spear in Seattle. This will protect your fingertips. Cook the dough for two minutes on one side, then flip and continue cooking the other side for another four to six minutes, says Coniglio. 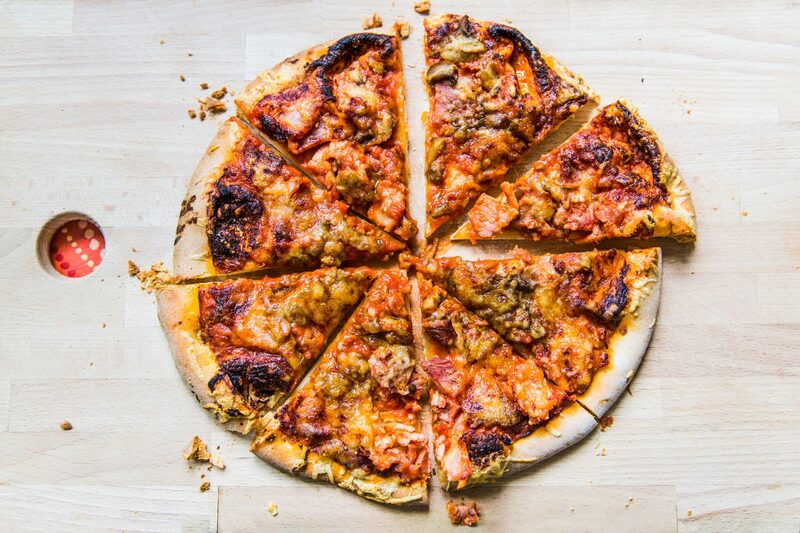 When it’s time to build the pizza, Siegler suggests moving the dough to the side with no coals in order to slow down cook time. The dough should be able to move easily off the grills. Prepare your toppings ahead of time, or risk a soggy dough. Cook your toppings beforehand. This prevents the release of liquids onto the crust, says Moreira. Ingredients then heat evenly, instead of one being over- or under-cooked. Don’t overload your pizza with toppings. “Leave a crust,” says Sarah McClure, executive chef and manager of Southside Smokehouse in South Carolina. When people pile on the toppings, they spill over and cause flame flare-ups, resulting in a burnt pizza. “By leaving a crust, you are creating a lip to hold the ingredients in place." You’ll know know the pizza is ready when the crust is dark and golden with black blisters, says Devin Glenn, chef at The Salt Lick in Driftwood, Texas. To easily remove the pizza from the grill and transport it, make sure you have a very large spatula and a baking sheet or pizza stone.